Whether you find yourself fending off natural elements in the wilderness or deadly foes in a fight, the Tanto Blade Combat Knife will provide you with a controlled and durable tool that is handy in all survival situations. The tanto style blade of this knife gives you easy control when piercing, while its length provides more room to make your cut. The teeth on the back of this blade allow for extra damage to your offender. 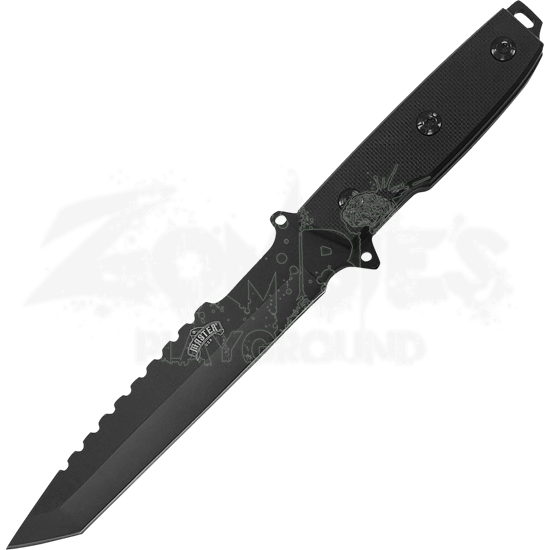 Made from a solid piece of stainless steel, this knife is long lasting and strong. 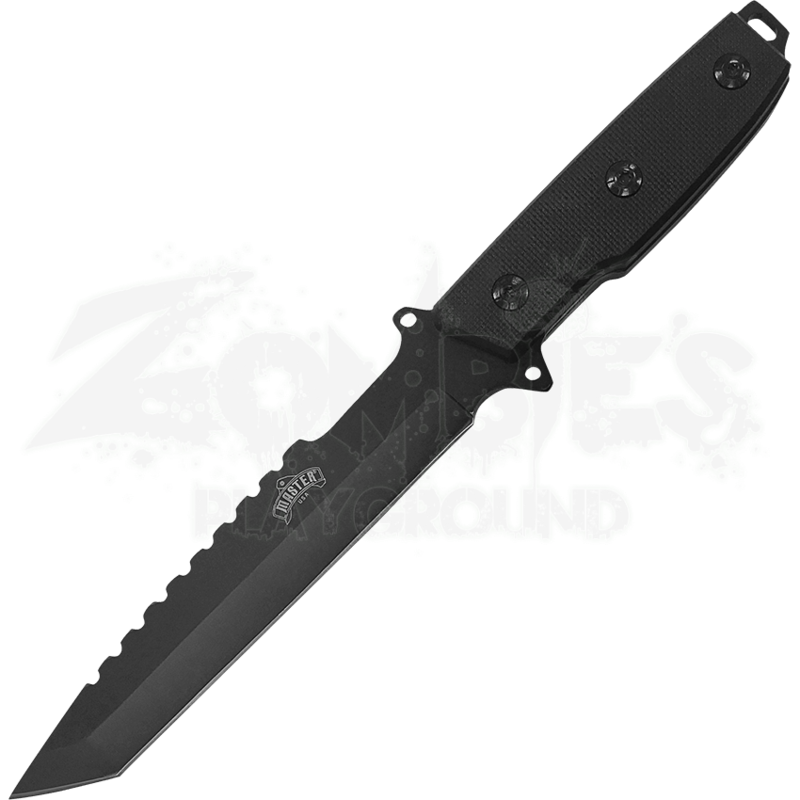 With a nylon sheath included, the Tanto Blade Combat Knife will be protected until you need it to protect you.